It happens every year, and it's happening to us right now. Each summer Canada finds itself in the grips of a heat wave that makes everyone forget just how miserable the weather here is in all but three or four months. That's bad for people, sure, but it's really bad for dogs. Violet's tips on how to survive a heat wave! It happens every year, and it's happening to us right now. Each summer Toronto finds itself in the grips of a heat wave that makes everyone forget just how miserable the weather here is in all but three or four months. It's not just the heat that's the problem, but the suffocating humidity and the way everything tends to store heat effectively turning the city into an oven. That's bad for people, sure, but it's really bad for dogs, especially for smaller ones like Violet, who are six inches off the burning ground. So here are Violet's tips for making these nasty days just a little more bearable. If you're like us, and you have a little monster ruling your days, sleeping in is a distant memory. But during the heatwave that's not so bad because the early morning is one of the best times to take your dog out for a stroll. The sun isn't too high in the sky, the humidity hasn't picked up, the sidewalks are still cool. It's prime dog-walking time. 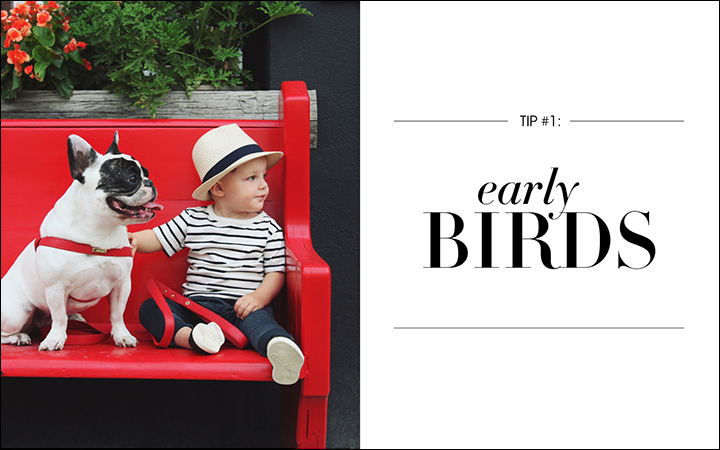 We take Violet out with her baby bro in the early morning. They do a lot of people watching and silent judging but they're cute enough to get away with it. 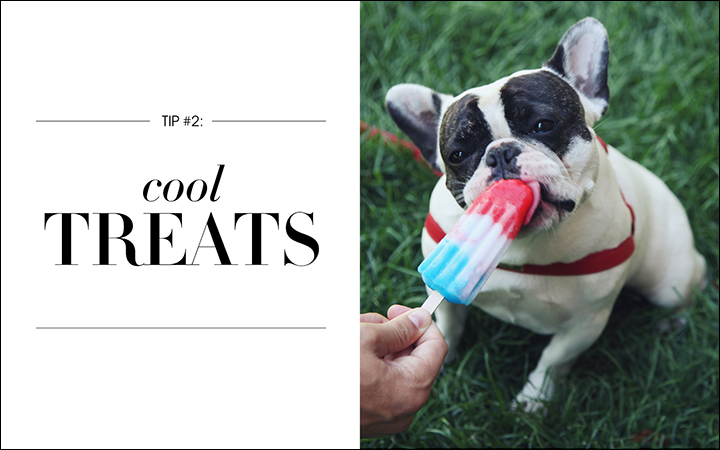 One great way to help keep your dog cool is to offer them ice cubes to crunch on. But while ice cubes certainly do the trick, there are tastier options available. And Violet, the gourmand she is, is unlikely to settle for ice cubes when she sees us having Popsicles. So we make dog-friendly frozen treats for her. The recipes are easy to find and easy to follow. And when it's 35 degrees out, easy solutions are the best kind. It's always cooler by the water. 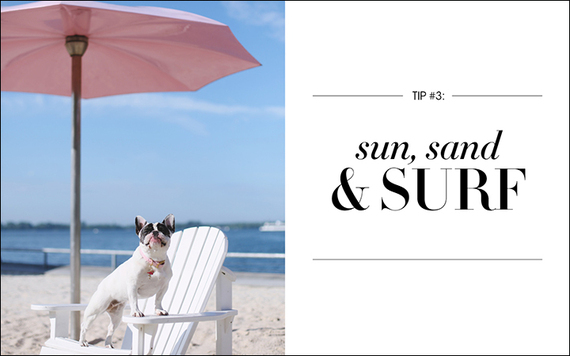 If your pooch is going a little stir crazy being cooped up, you could take her to the beach. Now, where water quality is concerned, Lake Ontario is probably not the best place to go swimming in the midst of a heat wave. But just being by the water, where it's cooler, gives your dog a chance to run around a bit without cooking. And there are always water fountains available if you want to soak your furry companion. Besides, it's the summer - can you really spend all your time inside? 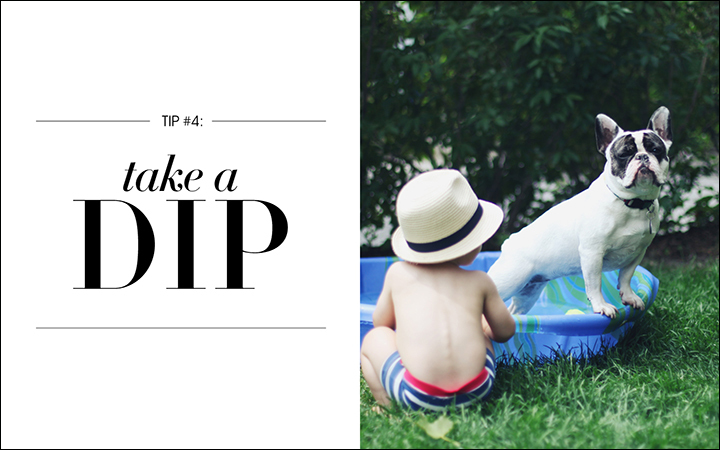 If your dog does want to get wet, we suggest buying a kiddie pool. They're inexpensive, easy to fill and keep clean, and allow you to stay close to home which can be important when it's too hot to walk very far. Violet loves her pool. The only drawback as far as she can see is having to share it with her little brother, who fills the pool with toys (that Violet isn't allowed to chew) and is perhaps the least relaxing pool buddy on the planet. Of course, he's a lot to handle in any situation, but at least she's cool in the pool. 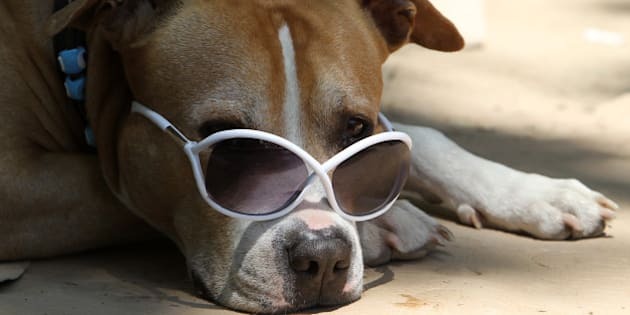 Dogs can't sweat, but that doesn't mean they don't need plenty of water to keep them cool. If you're going to go out, make sure you bring water, and that the route you're taking has places where you can refill your dog's water bottle because she won't just need to drink it: she might need her paws cooled, or her tummy soaked as well. 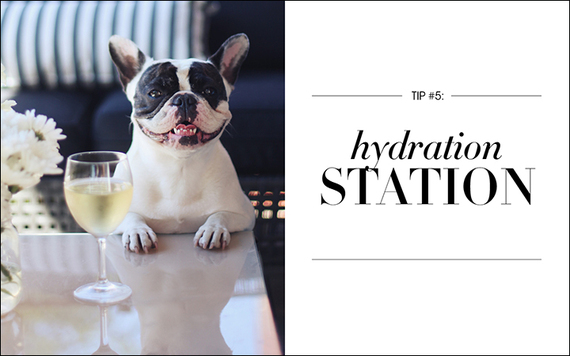 Being a Frenchie, Violet can't really handle the heat; instead, she encourages us to relax on the balcony and stay hydrated with the beverage of our choice. And we love her for it. 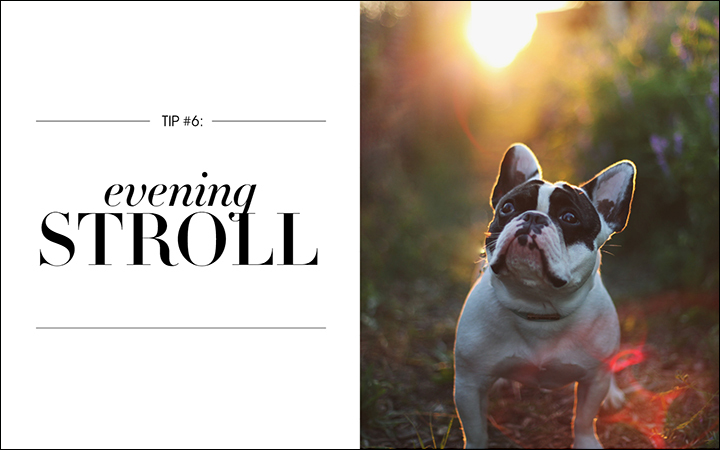 If your dog is like ours, she needs more than one walk a day. When the city is melting, the best time to get that second walk in is in the evening when the sun is setting and the streets have cooled. Going out during the hottest part of the day is something we don't like doing either, but to not get outside in the summer is to waste our best and most fleeting season. So when the day is drawing to an end, grab your pooch, plenty of water, and take a stroll.